In unprecedented fashion, China recently pointed the finger at Pakistan after a February 28 attack in Yecheng, a city 200 kilometers from the oasis city of Kashgar, close to the border with Tajikistan. The Chairman of the Xinjiang Regional Government decisively remarked on March 7 that the attackers had “one thousand and one links” to Pakistan (Times of India, March 8). China further implicated Pakistan on April 6, albeit indirectly, when it published on the Ministry of Public Security website profiles of six Uyghurs from China who allegedly operate in “South Asia” as members of the ETIM. Despite these allegations, there is almost no evidence that the recent attack in Yecheng was plotted from Pakistan and there are only inconclusive reports that the two major attacks in Xinjiang in 2011 were planned in Pakistan. there is scant evidence that recent attacks in Xinjiang have actually been plotted from Pakistan. It is possible that China is publically citing Pakistan as the source of terrorism in Xinjiang to put pressure on Pakistan for strategic purposes or to deflect attention from the regional government’s inability to contain outbreaks of violence in Xinjiang. 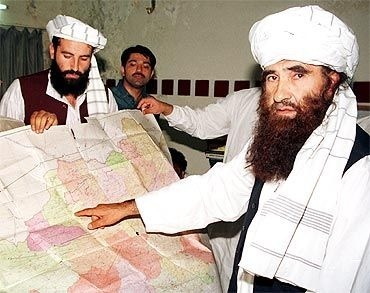 One of the strongest pieces of evidence establishing a Pakistan tie to terrorism in Xinjiang comes from a martyrdom video posted on the Shmukh al-Islam online forum in September 2011 that showed Memtieli Tiliwaldi training with the Turkistan Islamic Party (TIP) in what appears to be the mountainous tribal regions of Pakistan (see Terrorism Monitor, January 26). Tiliwaldi had been killed by Chinese security forces days after taking part in attacks on Han Chinese pedestrians and diners in Kashgar on July 30 and July 31, 2011 that left ten people dead. The video, which was allegedly created by Nurmemet Memetmin, one of the six Uyghurs profiled on the Ministry of Public Security website, seems to prove that Tiliwaldi trained in Pakistan with the TIP and then carried out attacks in Kashgar. However, one of several issues with this video is that it is unclear why the TIP would honor only Tiliwaldi and not the other dozen “martyrs” that took part in the Kashgar attacks if the TIP was indeed responsible. Paratroopers hurtling head first out of planes, attack helicopters strafing a terror training centre and shacks blown to bits were this week’s latest embodiment of China–Pakistan friendship. The war games conducted by 540 Chinese and Pakistani soldiers running around scrubland – the fourth joint exercises since 2006 – were ostensibly a chance for China to benefit from Pakistan’s counter-terrorism experience. But behind the pomp rolled out for the Chinese, complete with slap-up marquee lunch and bags of presents, the relationship is as transactional as any other as China competes with Pakistan’s arch-rival, India, for Asian dominance. China is Pakistan’s main arms supplier, while Beijing has built two nuclear power plants in Pakistan and is contracted to construct two more reactors. But the alliance has been knocked by Chinese accusations that the separatist East Turkestan Islamic Movement (ETIM), which wants an independent homeland for Xinjiang’s Muslim Uighurs, is training “terrorists” in Pakistani camps. Pakistan is reportedly set to review all diplomatic, military and intelligence links with the US and Nato following a deadly cross-border attack on a border checkpoint. A spokesman for Nato troops in Afghanistan has admitted that it is “highly likely” its aircraft were behind the assault on Pakistani troops while hunting insurgents near the border. As many as 28 soldiers died and 14 others were wounded in the strike, according to reports. The Pakistani government has responded by blocking the vital supply route for Nato troops fighting in Afghanistan. It has also ordered the US to vacate a controversial airbase within 15 days, reports say. JHELUM, Pakistan — The Pakistani and Chinese attack choppers swoop low across the valley, strafing a mock terrorist hideout and a bomb-making factory. Then a joint commando team storms the camp — to the gentle applause of top brass from both nations watching from the stands. Countries around the world, especially the U.S., share Chinese concerns about Pakistan’s militant-infested tribal regions, but few get the same kind of public commitment of help as Beijing. It’s a legacy of China’s oft-hailed “all-weather friendship” with Pakistan. China’s good will is vital to Pakistan: China is its largest defense supplier, and it has helped construct two nuclear reactors. Chinese investments help keep the Pakistani economy afloat.